My goal is to grow crops year round of the highest quality with regards to flavor, texture, appearance, and vitality. This begins with developing a healthy soil teeming with biology. I accomplish this by growing green manures, adding compost and organic soil amendments, and carefully working the soil. Once crops are harvested, they must be processed delicately but thoroughly. It is essential that they make it to the restaurant in their pristine form. I produce crops for a singular market: restaurants. 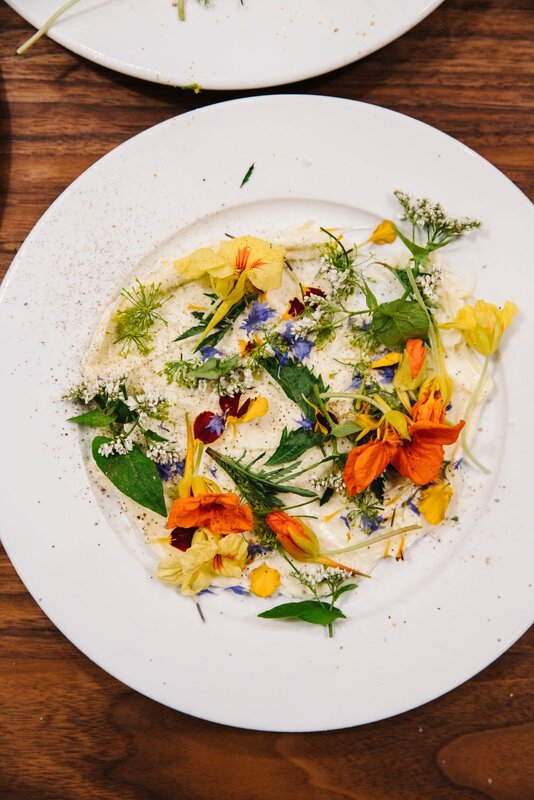 While there is risk involved in not having another outlet to sell my product, I am able to focus my entire operation on producing vegetables, fruits, herbs and edible flowers that chefs desire, and in many instances, cannot find elsewhere. In growing, harvesting and processing crops, I am always considering that they will end up on a restaurant plate. My constant motivation is to grow something excellent. When a chef opens a crate of produce, I want them to feel exhilarated like one of us might feel when we receive a dish at a restaurant and can tell how delicious it’s going to be even before we taste it. Having close relationships with all the chefs I work with (some of them are my good friends) drives me to keep doing better. I don’t believe perfection is a real or attainable level, but that doesn’t mean I won’t spend the rest of my life trying to get there. Evan Chender was a chef before he became a farmer. He earned his BA in Food Culture and Sustainable Agriculture from Vassar College. Evan’s senior thesis was an in-depth analysis of four season farming, which included traditional academic research as well as building and farming low tunnel hoop houses at the Vassar experimental garden. 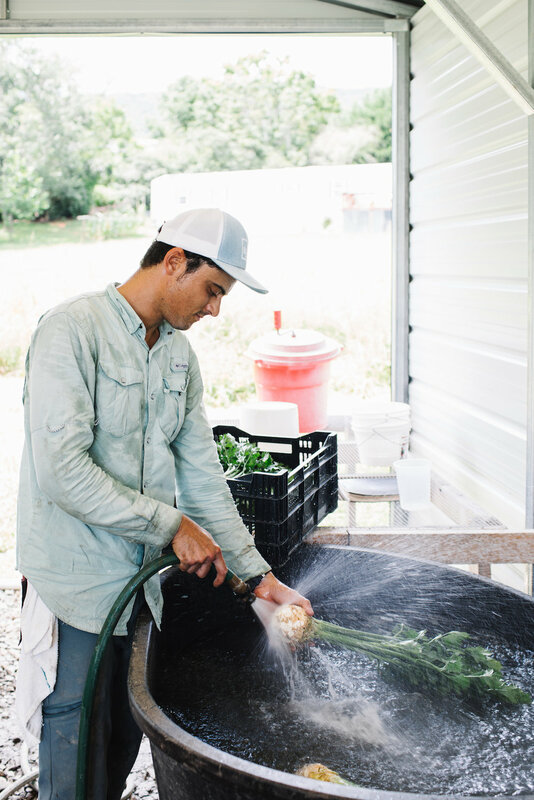 With the desire to build upon the techniques he learned through his thesis, following graduation Evan became a greenhouse manager at Stone Barns Center for Food and Agriculture, which supplies the acclaimed restaurant Blue Hill at Stone Barns. He subsequently managed a half-acre biodynamic vegetable garden for Agriturismo La Petraia in the hills of the Chianti region of Tuscany, where he was responsible for producing and foraging for all the vegetables used by the chefs in the on-site restaurant. Evan worked as a stagiaire in the kitchen of Noma in Copenhagen before heading back to the States. At the time of his apprenticeship, Noma was voted the top restaurant in the world by the Diners Club® World’s 50 Best Restaurants Academy. Seeking a lifestyle change, Evan relocated to Asheville, NC in May 2012. 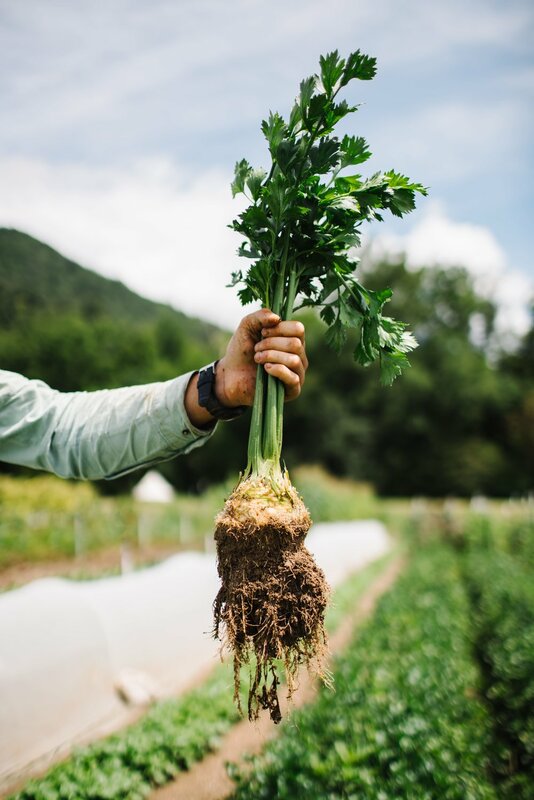 He spent his first year-and-a-half as the sous chef and head gardener at Well-Bred Bakery & Cafe, before developing an 8,000 square foot micro farm and launching The Culinary Gardener in the fall of 2013. Today, Evan has 1 acre in production on a four-acre piece of property he purchased in the Reems Creek Valley, 10 miles north of downtown Asheville. He and his team grow an extensive variety of vegetables, herbs and edible flowers year round and market exclusively to restaurants in Asheville and Atlanta, GA. With a focus on soil health, variety selection, and meticulous harvest and processing techniques, Evan and his team take pride in producing crops of the highest quality.